When you think of good bourbon, you think of high prices. Or, if not high, at least pushing the limit you’re comfortable spending as they approach $50. Great bourbon, however, is not mutually exclusive with low prices. The perfect example of this is Buffalo Trace Kentucky Straight Bourbon. Sitting comfortably at around the $40 CAD mark, it tastes as good or better than its more expensive counterparts, including Woodford Reserve, one of my all time favourites. I was tipped off to Buffalo Trace from the excellent blog The Blundon Bourbon Review while perusing high ranked, affordable bourbons the LCBO actually stocked. The Buffalo Trace Distillery is famous for the extremely coveted Pappy Van Winkle bourbon line, as well as several other brands including Eagle Rare. Buffalo Trace is their flagship bourbon, named for the distillery which claims to be the oldest continuously operating one in the United States (although there is some contestation to that claim.) When you put your name to your work so prominently, you best make it damn well, and that’s exactly what Buffalo Trace did. On the nose, it smells richly of baking spices including cinnamon and nutmeg. The alcohol fumes aren’t exceptionally overwhelming despite it sitting at a respectable 45% alcohol. Buffalo Trace also has this awesome distinct coffee smell to it which adds some nice depth. Taste wise, Buffalo Trace does not disappoint. The potent cinnamon rides along on the oily body off caramel and coffee. The charred wood also makes its presence known with the distinct taste of charcoal at the finish — a finish I might add, which goes on and on. 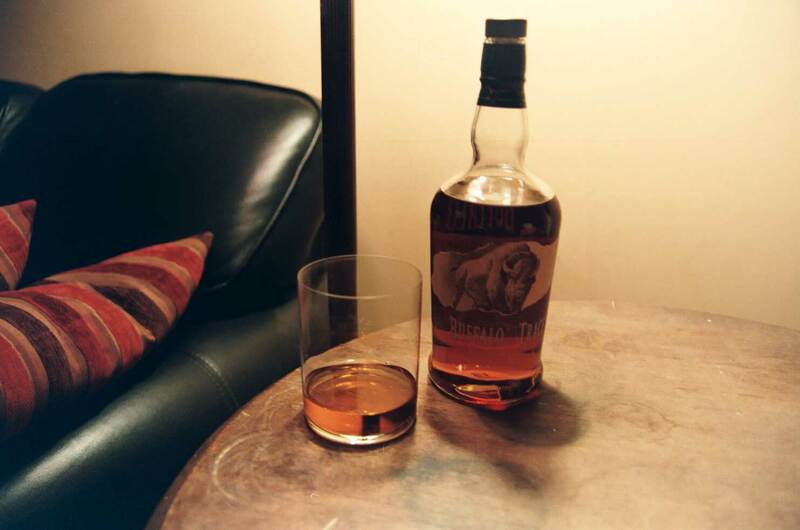 For such an affordable whiskey, Buffalo Trace brings a ton of flavours that work really well together. It’s decently well balanced, and what it lacks in subtlety it makes up for with its big body and bevy of tastes. When you browse the rather pathetic selection of bourbon at the LCBO next time, do pay extra attention to Buffalo Trace. It’s significantly cheaper than many of its competitors, but brings a quality only a few can match. Besides making an excellent Old Fashioned, it is a bourbon worthy of sipping neat, and of course, sipping slow.